To receive updates about this exhibition, please sign up for the mailing list. Established in 1899, the SMFA Traveling Fellows program awards funds to select artists for post-graduate work and travel. Ten SMFA at Tufts alumni are selected by a jury to receive a $10,000 grant to use for travel, research or other expenses related to their work. The year culminates in the selection of one artist for a solo exhibition at the MFA. [Maia] Lynch was selected for the solo show in 2017. 2017 SMFA Traveling Fellow Georgie Friedman has been selected for the next MFA solo show, to open in spring 2019. 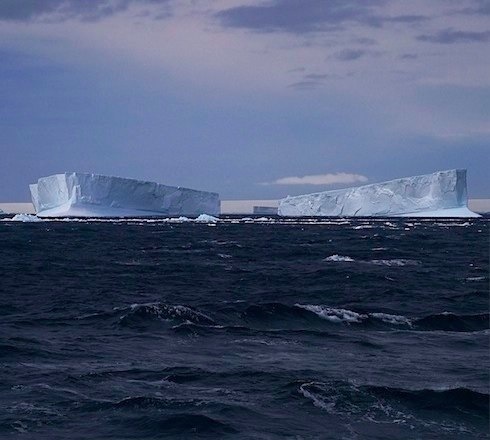 Friedman, a 2008 SMFA at Tufts alumna, traveled to Antarctica where her goal was to experience, observe, and record the region's shrinking boundaries.